There is a lot of talk in the media these days about digital TV migration and set-top boxes. Recently, we were treated to some drama where NTV, Citizen and KTN took the government to court over the digital migration issue. A lot of Kenyans, especially in the rural areas, still no not understand what all this talk about digital migration has to do with them, thanks in part to a poor public education strategy by the Communications Authority of Kenya. The broadcaster can offer other non-tv services e.g. multimedia or interactivity. The broadcaster can also offer value added services such as multiplexing, electronic program guides (like DSTV) and the ability to change languages or add sub-titling on a channel. The International Telecommunications Union (ITU) has set a June 2015 deadline for all countries to switch over to digital TV. All countries are expected to have complied by then. 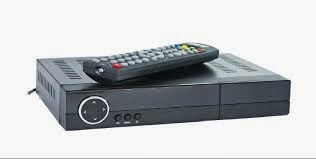 If you do not have a digital TV, you will have to invest in a set-top box. The unit converts the digital signal from the broadcaster into analog form which your TV can then display on screen. Set-top boxes are available at all leading supermarkets and thousands of electronic retailers around the country. See the Digital Kenya page for a list of approved units and authorized vendors.